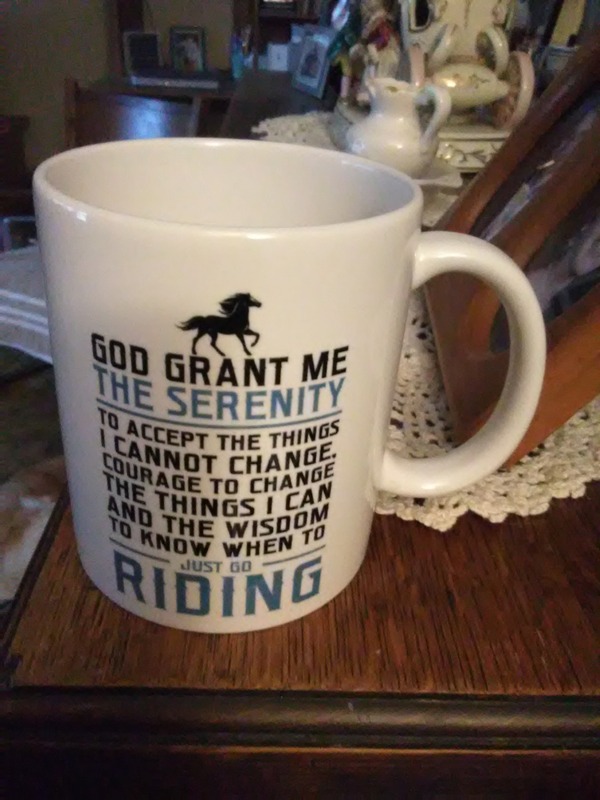 God grant me the serenity to accept the things I cannot change, courage to change the things I can and the wisdom to know when to just go riding. 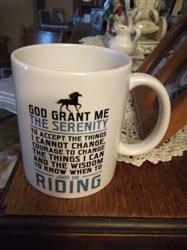 The perfect mug for any proud horse rider. Treat yourself or purchase as a unique gift for that special someone. Order yours now. 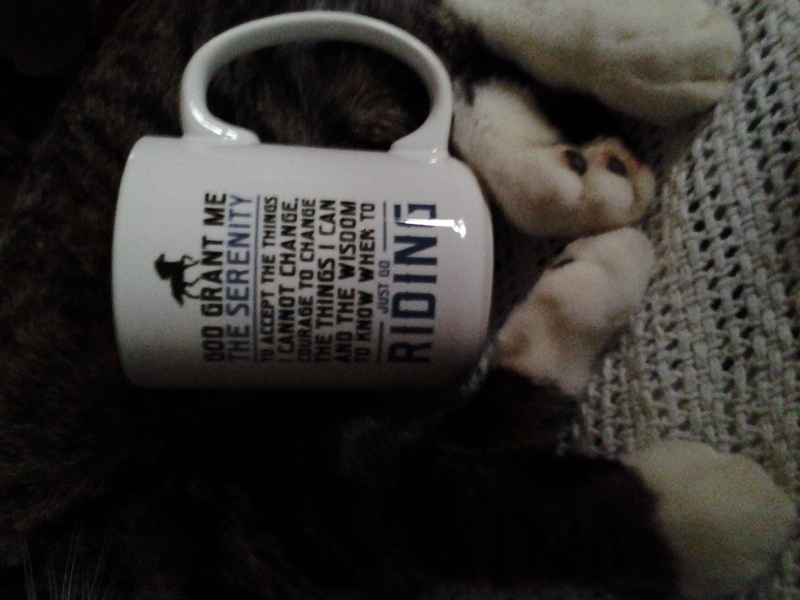 Horse Riding Serenity - Mug has a rating of 4.98 stars based on 57 reviews. 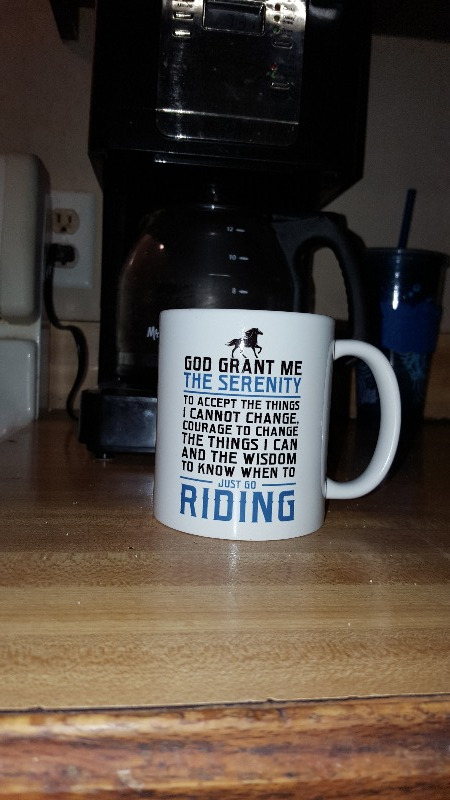 Received my cup & love it. It will make a great gift for my neice. Definitely would order from you again & recommend to friends & family. Very way, products arrived much earlier than I thought! The mug was delivered quickly and in great shape, the packing was excellent. The mug itself is very nicely done. It's a great message and looks crisp and easy to read. Very satisfied. This was my second purchase from Diverse Threads. Once again, this item met all my expectations! Mug arrived timely and was carefully packed. Looked just like the picture in the ad! I was completely satisfied. I will certainly consider buying from Diverse Threads again. I bought two of these from you. Pleased with both, arrived in time for Christmas. They went to girlfriends of two grandson's who own and ride horses. They appreciated them very much and will put them to good and happy use.